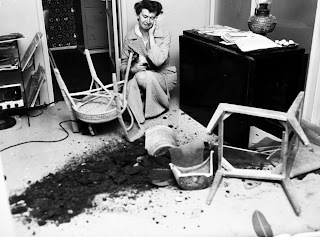 Joseph wins with his Tuesday 8:27 a.m. guess "It's the Pasadena playhouse in 1959. Students are Colin Campbell and Lynn Preston. The instructor is Joseph Vince, if I'm not mistaken." But who are you, Joseph? 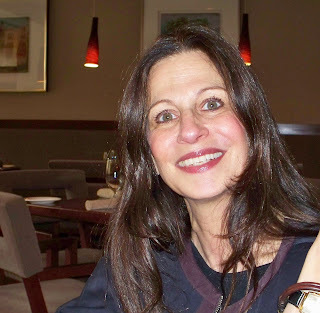 The link goes nowhere, so please e-mail me to find out about your fabulous prize. 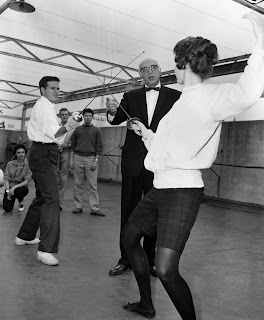 In the 1959 photo above, Pasadena Playhouse drama students Colin Campbell and Lynn Preston learn fencing tips from master instructor Joseph Vince, who had been a U.S. fencing champion in the 1920s. The Pasadena Playhouse got its start in 1917 and opened for business in its present location in 1925 after the citizens of this community contributed a whole lot of funding. It has a long history of being the "Star Factory" where renowned actors including Gene Hackman, Dustin Hoffman, Victor Mature and Raymond Burr got their training. 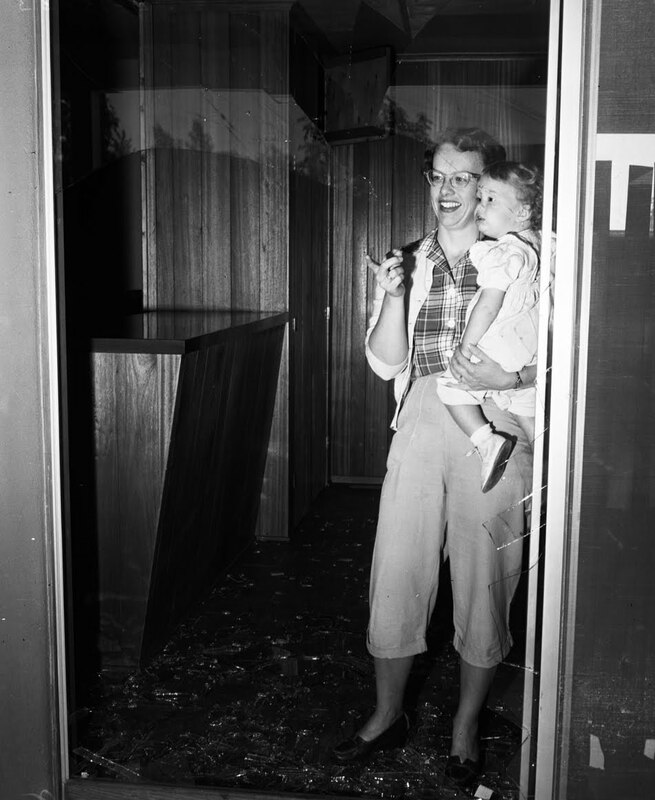 More recently, the Playhouse closed its doors -- temporarily, we all hope -- due to funding issues. The City of Pasadena owns the building, which was designed by architect Elmer Grey. Many thanks to the University of Southern California. 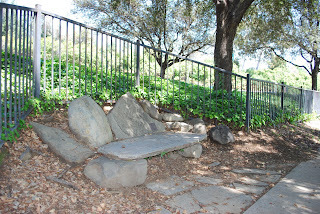 This is the second in a series of posts about monuments and memorials in public rights of way in Pasadena. 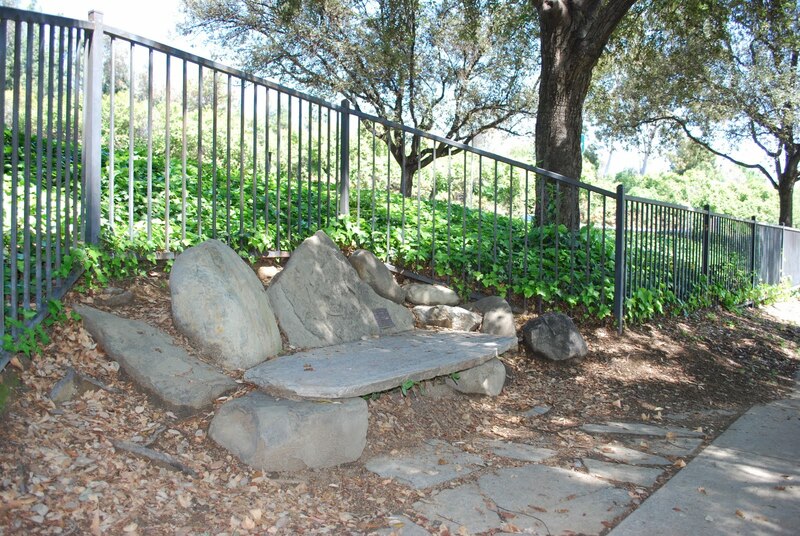 The Hogoboom Memorial Bench was designed by Pasadena artist Patricia Ferber using river rock and stone slabs. The bench is in memory of Betty Hogoboom, a longtime volunteer for Pasadena educational and cultural activities, and her son Peter Hogoboom. Betty died of cancer in 1991; Peter died of AIDS in 1989. Ben Wideman is doing a wonderful daily series about Pasadena parks. Photos: the mighty Zack Stromberg of the Public Affairs Office. Saturday, April 24, from 10 to 11:30 a.m. – The 95th anniversary of the Armenian Genocide will be commemorated at Pasadena City Hall. Saturday, April 24, from 10 a.m. to 4 p.m. – The Greening the Earth Day and Armory Family Arts Festival will be in Memorial Park, Armory Center for the Arts and the street in between. Highlights include live performances, art exhibitions, children's activities, "green" information booths and an authentic, old-fashioned swap meet. Find the performance schedule and more information here. Tuesday, April 27, at 7 p.m. – Times are tough, so your résumé must command attention. 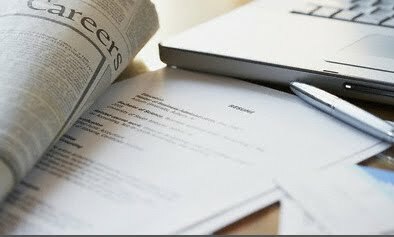 Meet with a professional career coach who will review your résumé (bring it with you!) and give you specific advice at Hastings Branch Library, 3325 E. Orange Grove Blvd. Space is limited; call 744-7262 for reservations. Wednesday, April 28, at 1 p.m. – This week’s film in the Donald R. Wright Auditorium at Pasadena Central Library is “Changeling” (2008, R) directed by Clint Eastwood and starring Angelina Jolie and John Malkovich in the story, based on true events, of a mother in 1920s Los Angeles who refuses to give up hope that her missing child is alive. 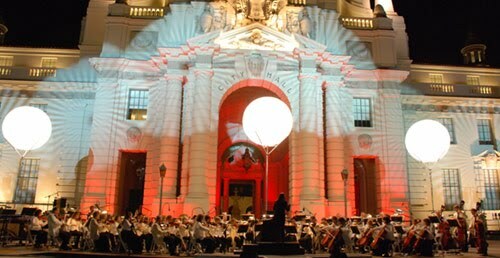 Certain scenes in the film were shot in the Pasadena City Hall courtyard. (626) 744-4066. Friday, April 30, from 8 a.m. to 1:30 p.m. – The Pasadena Senior Commission and the Pasadena Senior Center present the 2010 Successful Aging Conference at First Church of the Nazarene of Pasadena (PazNaz), 3700 E. Sierra Madre Blvd. Workshops include Medicare and Social Security updates, finding the work you want after 50, financial security and avoiding scams, community volunteering, care-giving, and brain fitness. RSVP by calling (877) 926-8300. The conference includes complimentary lunch. Friday, April 30, at 5:30 p.m. – This is the deadline for high-schoolers to submit their essays for a contest sponsored by the Pasadena Human Relations Commission. Saturday, May 1, from 9 to 11:30 a.m. – Are you ready to go solar? A workshop at La Casita del Arroyo, 177 S. Arroyo Blvd., for residential customers of Pasadena Water and Power will include how to get a 30% tax credit through 2016, how to choose a vendor, types of available solar panels and meters, permit requirements, financing options and lease agreements, and how to calculate energy and cost savings. Seating is limited, so go here to reserve your spot. (626) 744-6970. Kevin wins with his 9:11 p.m. Wednesday guess "Judging by the vinyl LPs, I would say it is early 1960s. I think a deer ran through her house. Notice how none of the plant vegetation is around the plant except for one leaf that fell quite away from the dirt. The deer may have eaten the plant. 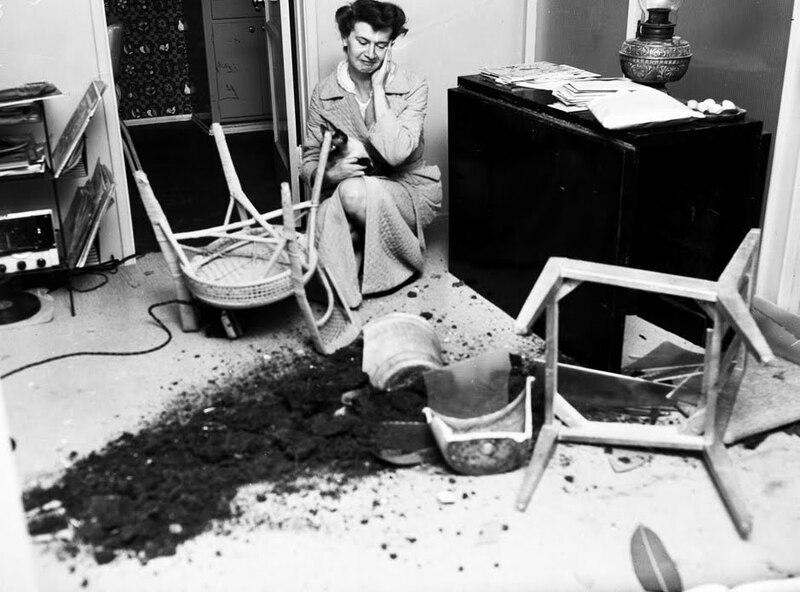 The ironing board was knocked over too. 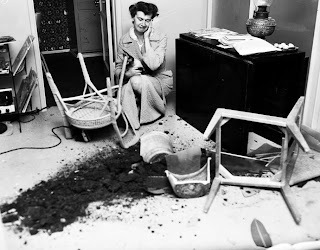 The iron is under the far chair. The deer probably took the ironing board when it left. It would make a perfect deer-shaped sleeping platform out in the woods." 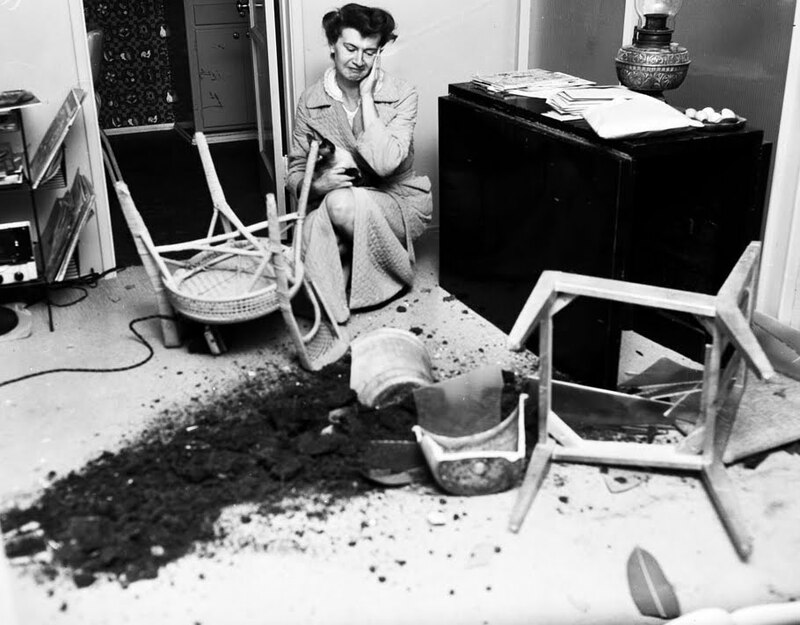 In the photo above, taken April 15, 1955, a distraught Betty Reed and her cat survey her wrecked living room after a 150-lb. male deer crashed through the window. Turns out the buck had come down from a nearby hillside to the residential neighborhood. But soon it caught the attention of a dog, which began barking loudly and frightened the poor thing to the point where it went berserk. 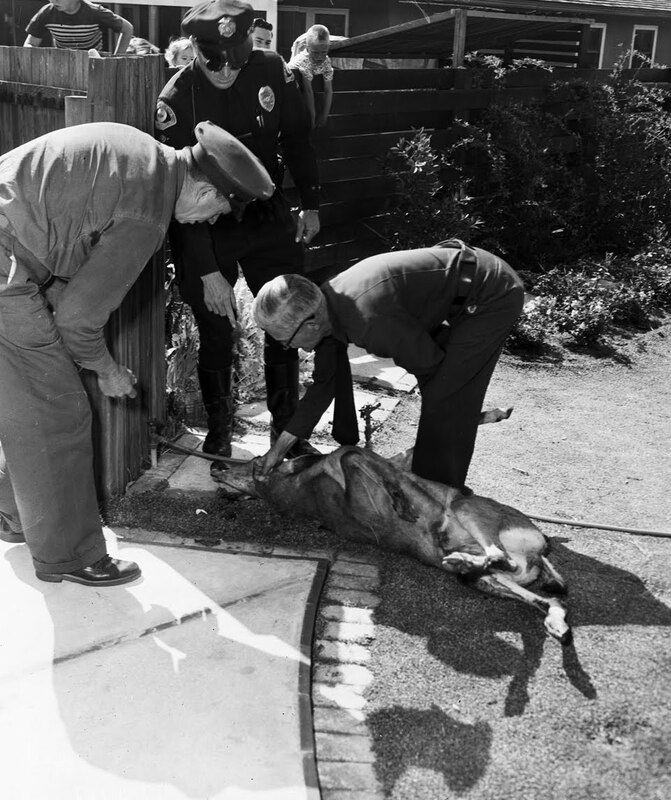 It wasn't long before Officer William Paisley of the Pasadena Police Department and Officers Cecil Fraser (left) and Howard Bishop of the Pasadena Humane Society arrived. Since the buck had become a threat to safety, they decided on a swift course of action. It was pronounced dead at the scene. 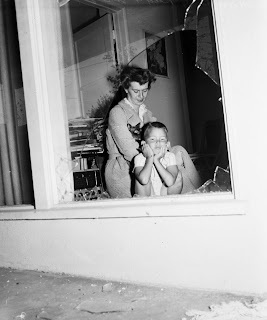 The neighborhood kids were awe-struck. Yesterday I got together with Rachael Worby, conductor of the Pasadena POPS. We've known each other for years but rarely have much time to share each other's company, just us. So we enjoyed salads at Ventanas and talked about everything under the sun, including the wonderful Music Under the Stars concert that is the orchestra's annual gift to the community. 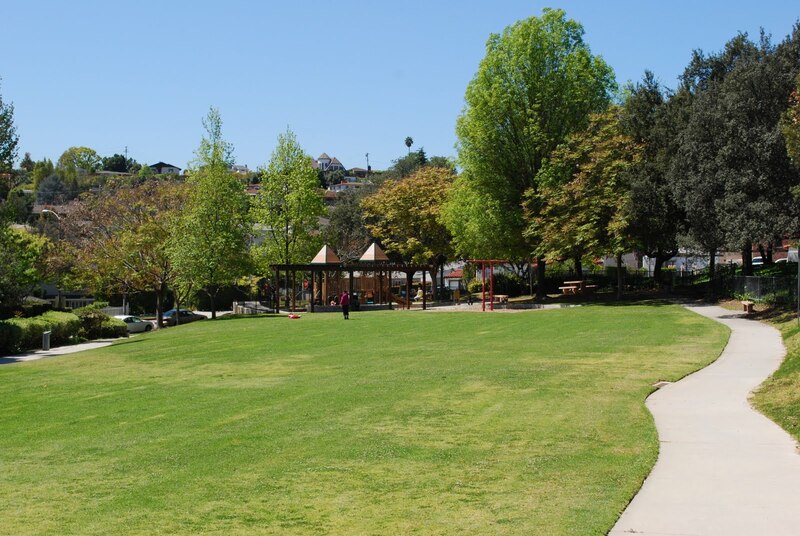 It's free on Saturday, May 22, at 7 p.m. when Centennial Square in front of Pasadena City Hall will be transformed into an outdoor concert space where you’ll gather with family and friends for an evening of fun and entertainment. Bring a lawn chair and come as early as 5:30 p.m. when you can bring a picnic or purchase items from gourmet food trucks and let little ones enjoy activities provided by staff from Kidspace Children’s Museum. Every year, Music Under the Stars is the prelude to the Pasadena POPS summer concert series. After several years performing their summer concerts at Descanso Gardens, the orchestra is returning home to Pasadena! 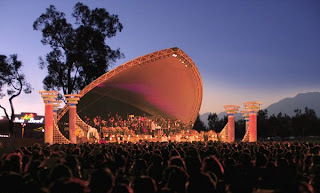 For each event in the summer concert series, the lawn adjacent to the Rose Bowl Stadium will become an outdoor concert hall with a fantastic stage that will be set up and then taken down each time so recreational activities can continue at the site (also known as Area H by you parents who have soccer-playing kids). I'm buying a table for the four-concert series. From "Fireworks POPS Spectacular" to "Hooray for Hollywood," I plan on enjoying all four evenings surrounded by friends, great food and terrific music. I told Rachael this yesterday and it was music to her ears. I gave the mighty Zack Stromberg -- my graphic designer in the Public Affairs Office -- the assignment of photographing monuments and memorials in public rights of way and on public property throughout Pasadena. For the past month or so he has been snapping away when time and weather permit. The Pasadena Pioneers Bridge Rock is a native boulder with a plaque embedded on it. It's on the west side of Orange Grove Boulevard overlooking the 134 Freeway. especially the twenty seven who founded this city near this spot on January 27, 1874. Dedicated October 8, 1953 by the City of Pasadena and a committee of citizens grateful for our illustrious past and committed to a more glorious future. Founders Monument was dedicated Jan. 27, 1954, and rededicated Nov. 12, 1986, when a new plaque replaced the original marker, which had been stolen (shame on you, whoever you are). It's at Defenders Park, southwest corner of Orange Grove and Colorado. The stones were recycled from the library building that was constructed in 1890 at what is now Memorial Park. 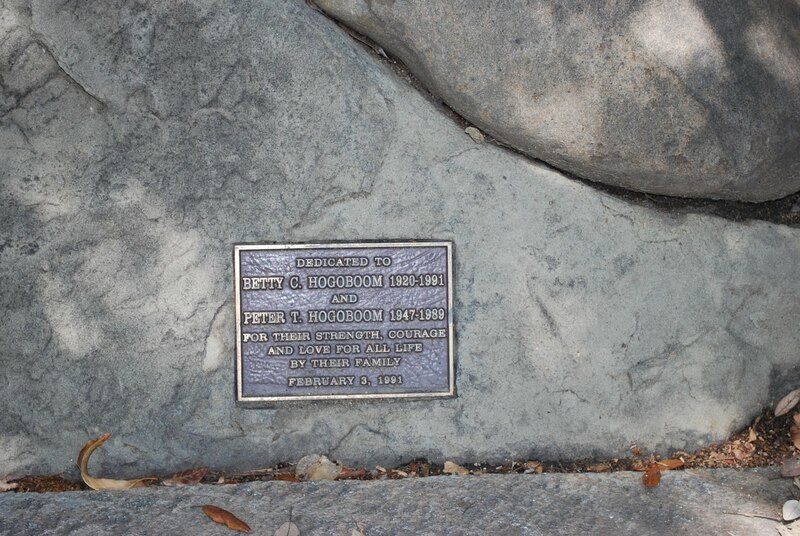 This monument is dedicated in honor of the twenty-seven founders of the City of Pasadena. Near this spot on January 27, 1874 the original purchasers of land in the Rancho San Pasqual met and selected each his choice of lots. I'll post more of these in the weeks and months to come. Tammy wins with her 9:51 a.m. Tuesday guess "Welcoming Mishima as Pasadena's sister city." Her answer is not quite specific enough, but that's OK, I'm easy. 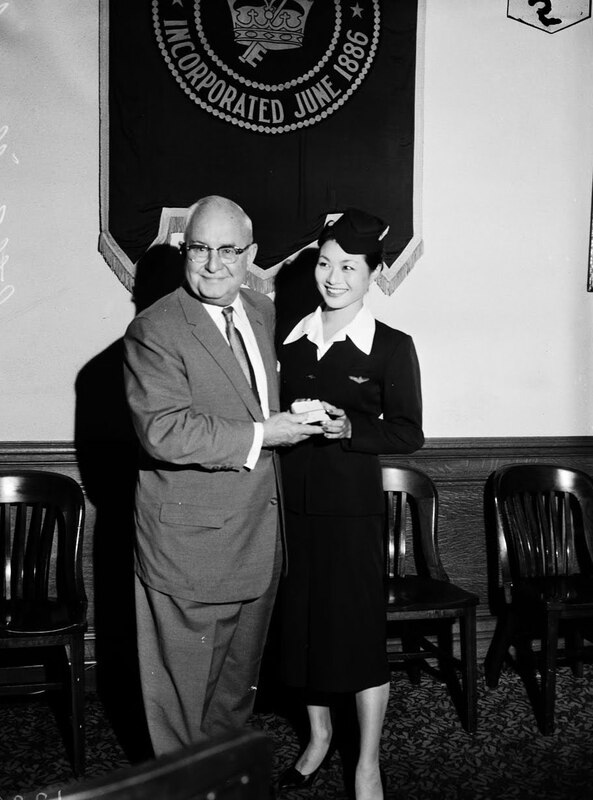 In the photo above, shot in May 1958 in the council chamber at Pasadena City Hall, Mayor Seth Miller receives a gift from Japan Airlines stewardess Nobu Atsumi as a prelude to an open house the next day during which Pasadena's sister city of Mishima, Japan, would exhibit arts and crafts. Mishima was adopted as our second sister city in 1957 (Ludwigshafen, Germany, was the first). 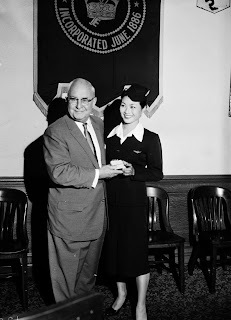 President Dwight D. Eishenhower founded the Sister Cities program in 1956 to achieve international peace through a people-to-people concept of "twinning" U.S. cities with foreign communities throughout the world. 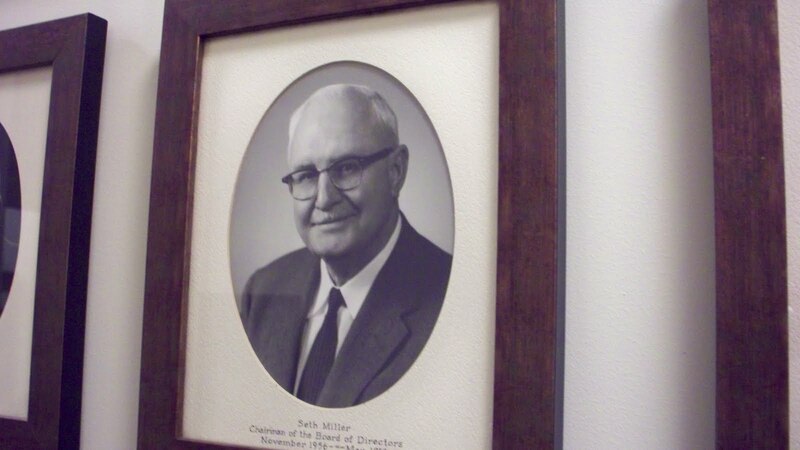 Here's the portrait of Seth Miller from the Hall of Mayors. Seth Miller's family arrived in Pasadena in 1919 when he was 9 years old. As an adult he owned an automotive business for many years. schedule following the resignation of Warren M. Dorn, who had been elected to the Los Angeles County Board of Supervisors. Miller served as mayor until 1959. He passed away in 1967. A few weeks ago about 50 Walden School children and parents transformed the upper level of Washington Park during their monthly Big Help Day, which teaches students the value of community service. They were joined by the Friends of Washington Park as well as staff from the Human Services and Recreation Department and the Public Works Department. By the end of the day, 200 drought-resistant and native California plants were happily springing out of the ground. But that's not all! The volunteers also painted a new mural at the park. And now, with its new, welcoming attire, Washington Park is happily ushering in spring! Many thanks to Antonio Sorcini of the Human Services and Recreation Department. I stumped everybody again, although everybody was close in one way or another. 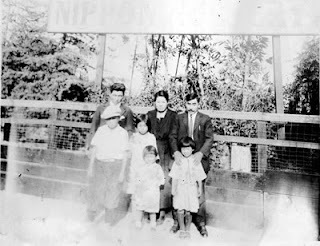 In the circa 1910 photo above, Hanhichi Wakiji, front right, poses with staff at the Nippon Nursery at 1505 E. Orange Grove, which he founded in 1905. Born in 1876 in Japan, he set sail in 1895 for San Francisco where he worked as a houseboy before coming to Pasadena. He was only the second Pasadena pioneer born in Japan (Toichiro Kawai was the first). With so many hotels and mansions being built by and for wealthy captains of industry from the east coast, Hanhichi saw a need and capitalized on it. 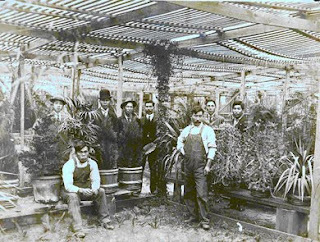 After learning the trade from the owner of Rust Nursery Company in South Pasadena, he founded his Nippon Nursery Company with two partners who soon after moved back to Japan, after which he bought them out and became sole proprietor. 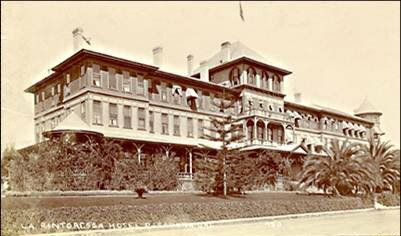 Nippon Nursery provided palms, ferns, roses, evergreens and ornamental trees to hotels and middle- to upper-class residential properties throughout Pasadena and Altadena. It became a thriving enterprise and Hanhichi a prominent businessman. 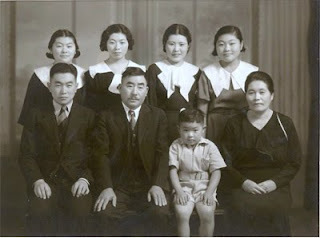 Hanhichi and his wife Taeno raised six children at 1485 E. Orange Grove, near the nursery, and were one of only three Japanese families living east of Lake Avenue. 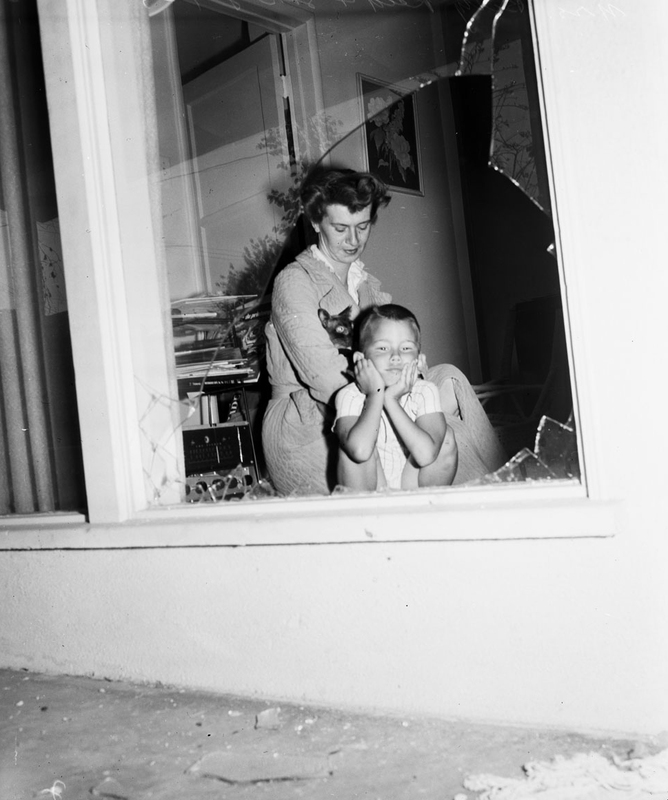 At the time, most Japanese families lived in what was for many years known as Japantown in what is now Pasadena's Central District. 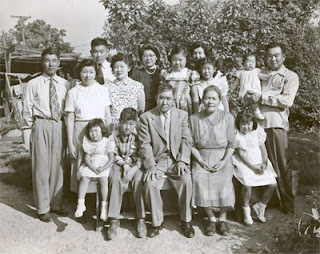 The children -- Masa born 1912, James Hajime born 1914, Kaoru born 1916, Takeko born 1919, Mari born 1922 and George Minoru born 1929 -- attended Thomas Jefferson Elementary School and John Marshall Junior High School. Five of the six attended Pasadena High School and Pasadena Junior College; Masa was educated in Japan during her high school years. After the bombing of Pearl Harbor in 1941, the Wakiji family was among many that were evacuated from the west coast of the mainland to internment camps farther inland. 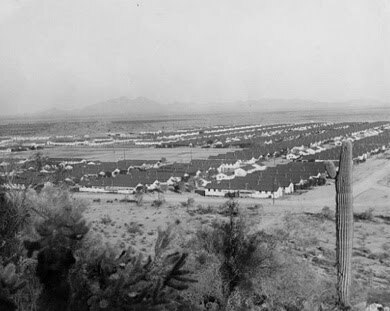 The Wakijis went through the processing center at Santa Anita Racetrack and were sent to the Gila River Relocation Camp. By the time they returned to Pasadena in 1945, Nippon Nursery had fallen into a state of neglect so Hanhichi enlisted help in putting it back into shape quickly and rebuilding the business. He experienced discriminatory post-war comments about the name Nippon (the native name for Japan) so he changed the name to Wakiji Nursery. 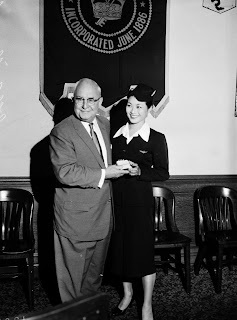 Hanhichi retired in the mid-1950s. 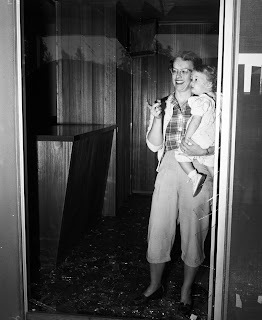 Two of his children continued to operate the business for another decade until they closed shop after he died in 1966. Hanhichi and Taeno Wakiji are buried at the Mountain View Cemetery in Altadena. Many thanks to the Wakiji family, the Japanese American National Museum and the National Archives. I shot this on Monday at about 11:15 a.m. using a zoom through through the window of my office in the southwest wing on the second floor of City Hall. There was a lull in the rain at that moment. The Pasadena Robinson Memorial, seen through the branches of a magnolia tree, is highlighted with a splash of pink. The peach trees, in full blossom, commemorate the state of the Robinsons' birth: Georgia. 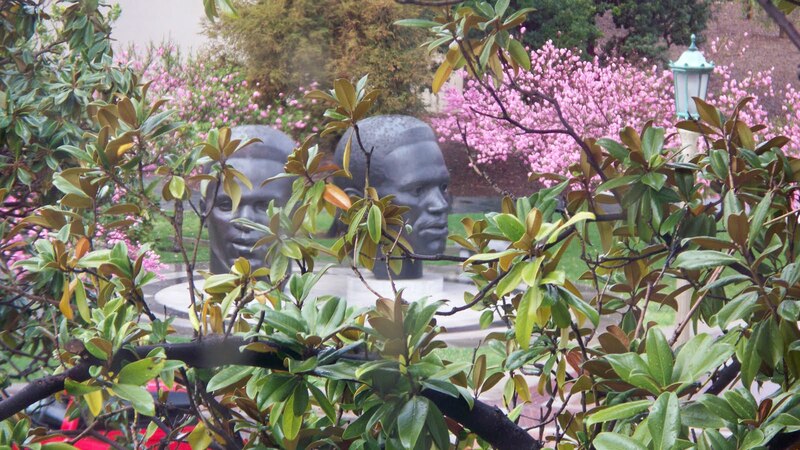 The bronze sculptures by Ralph Helmick, John Outterbridge and Stuart Schechter commemorate the lives of Jackie and Mack Robinson. If you've never taken a closer look, stop by sometime because the entire public art installation is extraordinary. John Outterbridge is one of America’s most prominent African American artists who has another piece of public art in Pasadena: "Window with Ball." Ralph Helmick and Stuart Schechter are well-known artists from the east coast with commissions across the country. Where are we? And who are these people? Today at the first-ever Pasadena Collegiate Field Tournament at the Rose Bowl Stadium, we proved that we're a college town extraordinaire when teams from Art Center College of Design, Caltech, Fuller Theological Seminary, Le Cordon Bleu College of Culinary Arts, Pacific Oaks College and Pasadena City College competed for the top prize in a series of goofball challenges. In the photo above, PCC President Lisa Sugimoto presents a platter of burgers to the judges during the Cheeseburger Challenge. During this challenge, teams of two from each college had to assemble a grill and prepare cheeseburgers to wow the palates of judges (seated left to right below) restaurateur Jack Huang, City Councilwoman Jacque Robinson and Honda Design Center Director Dave Marek. Here's the Art Center team creatively assembling their grill. And a member of the Fuller team faithfully biding her time while the meat marinades, a technique they prayed would get them high marks. The judges may have needed some Alka Seltzer by the time this competition was over! The team from Le Cordon Bleu won the challenge. But wait -- I'm getting ahead of myself. It all started with the National Anthem sung by a chorus made up of one member of each college team plus a referee. John Rabe of KPCC Radio's "Off-Ramp" served as master of ceremonies. During each challenge, teams racked up points, with some shaved off if necessary for penalties, and the team with the highest score at the end of the tournament won the grand prize. For the meteor toss, each team was provided with a bag in which there were pieces of fabric and some duct tape. They had to create what they thought would be the perfect catching implement for a series of "meteors" that were lobbed at them. This may have been the most important challenge of all because each team was charged with saving the world from certain destruction! Next it was the Giant Puzzle Race. In this competition, teams had to run to the far side of the field to get individual puzzle pieces color-coded for their specific colleges, then run back and assemble them. Once the puzzles were assembled, they revealed a map of sorts showing the various college locations and then some. The Art Center team couldn't help themselves -- after this competition was over they created a sculpture with the puzzle pieces! The teams also earned points for their uniforms. Art Center's uniforms were an homage to the college's founder, Edward "Tink" Adams. And Caltech students donned Albert Einstein wigs, although they took them off during physical competitions. And now, without further ado, the college with the highest number of points overall: Caltech! ...then all of the teammates shared in the thrill of victory. By the time everyone was leaving the stadium, the trophy was entrusted to Caltech President Jean-Lou Chameau for safe-keeping. The entire event was shown live on the stadium's big screens. I'm told it was also recorded, so whenever I get a DVD I'll do some editing and run it on KPAS. Gigantic kudos to Eric Duyshart, Ariel Penn and others in the Planning and Development Department who made this event happen, and thanks so much to all the colleges for participating!